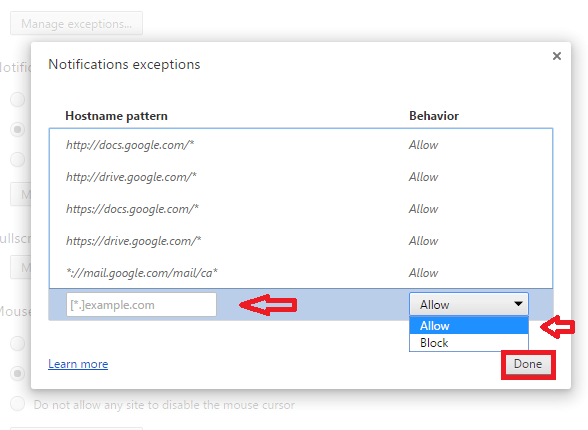 When you open certain websites in Google Chrome, you might have come across a dialog box as shown below. Click on the hamburger icon at the top-left corner of the browser window. Click Settings. 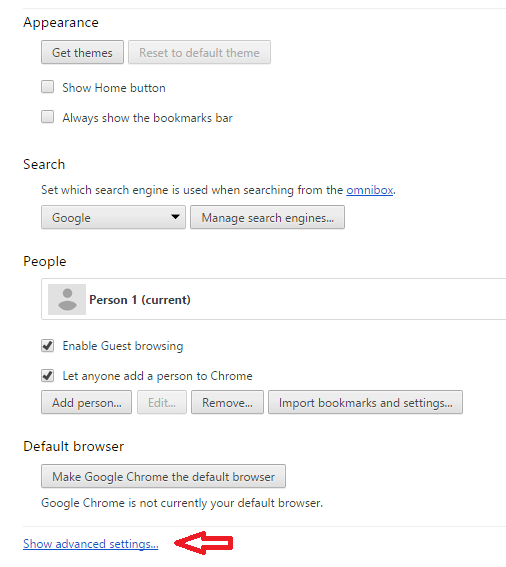 You can also type chrome://settings/ in the address bar and launch Settings. In the settings page, scroll down and click on Show advanced settings. 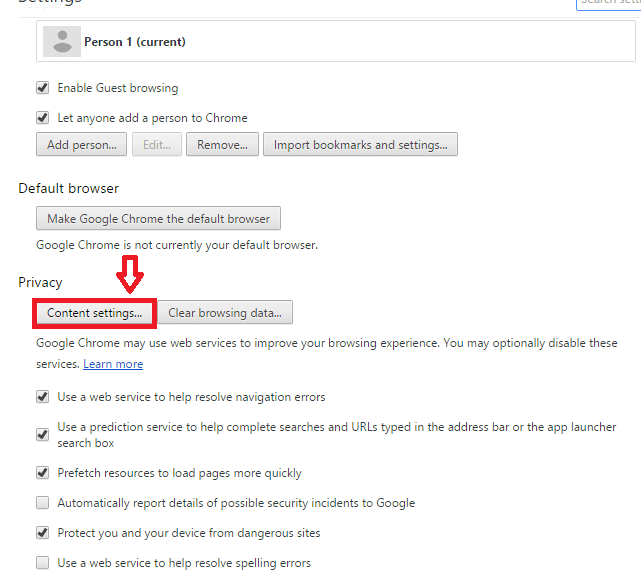 Click on Content settings which can be seen under Privacy. 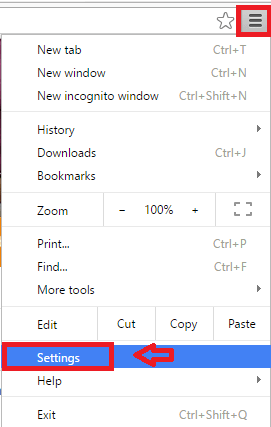 If you can’t spot it easily, type it in the search bar at the top. 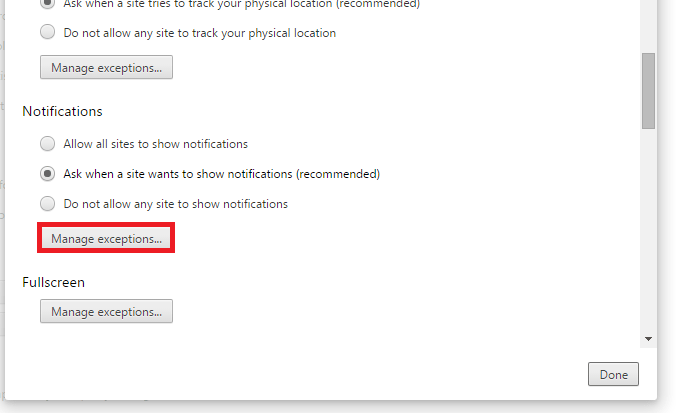 Under Notifications, mark the field against Do not allow any site to show notifications. You will no longer receive any Notifications. Like before, click on the hamburger icon and select Settings. Further, click on Show Advanced Settings. 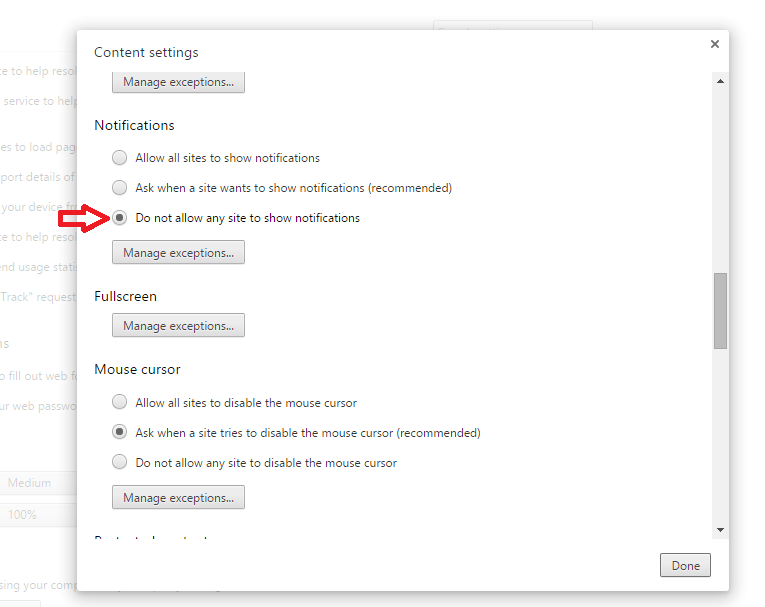 Click Manage Exceptions under Notifications option. Add the site you wish. Click on the Allow/Block permission. By clicking Allow, you can receive notifications from that website. Using block, you can prevent the website from notifying. To add a site, enter its hostname. Say to add Facebook, simply type https://www.facebook.com. Click Done. You can also have exceptions for an entire domain. For this, add [*.] in front of the domain name. You can see that certain sites are in italics. These are the ones added by Google. Since they are present by default, you cannot remove them. Keep this in mind.